Sukacita dimaklumkan bahawa terdapat pelbagai kekosongan jawatan NETHERLANDS MARITIME INSTITUTE OF TECHNOLOGY , bukan akademik berikut. 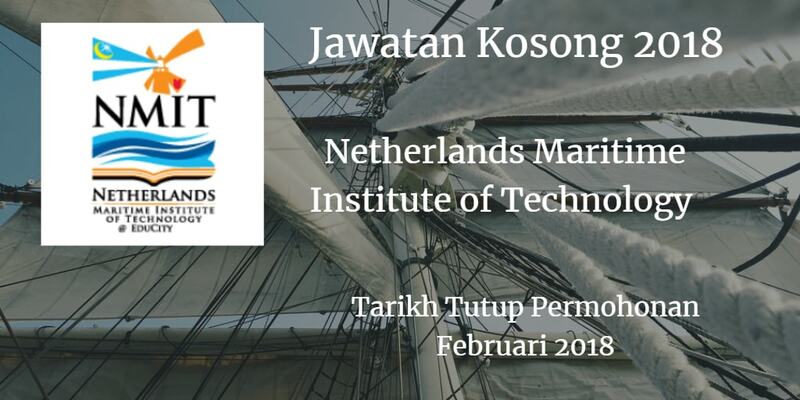 Peluang kerjaya di NETHERLANDS MARITIME INSTITUTE OF TECHNOLOGY . strategy and targets within budget approved. customers/students markets using the latest in electronic technologies. be used to leverage marketing efforts. e) Write each product. reflecting key messages, features and benefits. g) Preparation and delivery of marketing plan within key objective. h) Events planning. organization and execution. i) Copy writing of articles. marketing materials etc. do not deviate from the establishment. i) Brand image of the business. m) Market research and competitor analysis. n) Maintains up to date with professional sector news. 0) Supporting the development of the website. p) Focus on both business growth and client retention. of new courses or products and generate sales. r) Create and implement marketing communications for books, magazines and journals. compiling a list of products and literatures to display/demo. producing delegate inserts. u) Keep website up to date as necessary using intemai web administration tools. Puan Mariana di talian 07-2182020 sambungan 2041.